For Pediatric Surgery Appointments with Dr. Teichgraeber, please call 832-325-7234. 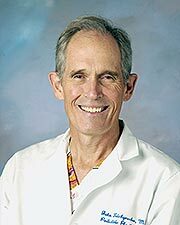 Dr. John Teichgraeber is a professor in the Department of Pediatric Surgery at McGovern Medical School at The University of Texas Health Science Center at Houston (UTHealth). Among his many honors and awards are Dean’s Teaching Excellence Awards, Best Doctors in America (2005-2006, 2011-2012) and the House of Charity Humanitarian of the Year Award. He continues to go on medical mission trips to treat children born with cleft lips and palates. A resident of Houston, Dr. Teichgraeber is married and the father of two teenaged daughters. Outside his practice, he enjoys cooking, golf and swimming. Before settling on a career in medicine, he had worked as a US Park Ranger and remains an outdoor enthusiast. Patients are seen at the UTP Pediatric Plastic and Reconstructive Surgery Clinic. If you need to contact UT Physicians Plastic Surgery, their Main Phone is (832) 325-7181. I have recommend many people to come to the group. One of the best doctors I've had the pleasure of meeting. Mother shares experience with UT Physicians pediatric surgery team following son’s surgery.